What do a diamond and a shot of espresso have in common? That’s no meant to be a bad joke. It’s a serious question. And the answer is: Both can only be made under pressure. In the case of the shot of espresso the pressure is required to push hot water through densely packed ground coffee beans. Typically this requirement for pressurizing water has meant that effective espresso makers were relatively loud and large electric devices. 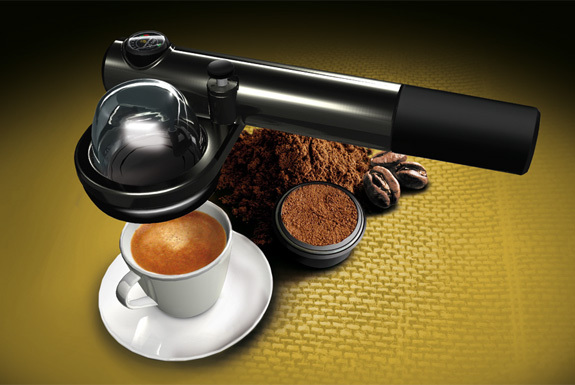 The Handpresso Wild, however, is not a typical espresso maker. The Handpresso does not operate on electricity. Instead, it creates water pressure using a hand pump similar to that found on air rifle or bicycle tire inflator. 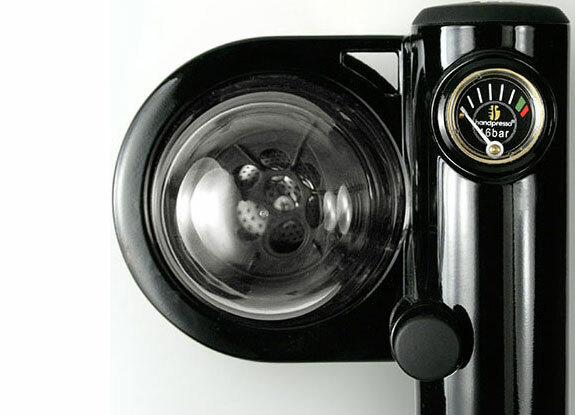 Push the Handpresso handle a few times until its pressure gauge reaches 16, add hot water and the ground coffee beans, press the brew button and—voila—a hot, freshly brewed espresso shot awaits you. Check out the video, below, for a look at the whole process. 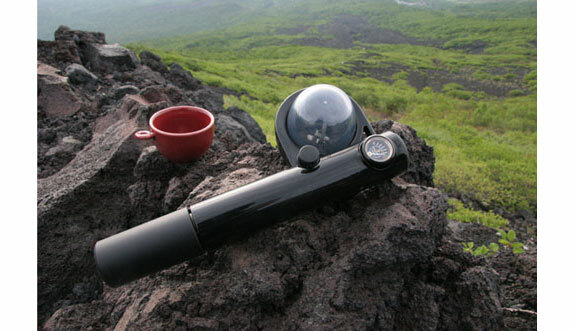 The Handpresso is highly portable—the whole thing is less than 9 inches (22cm) long and weighs—so it’s a perfect take-along on your camping trips and on other travels. 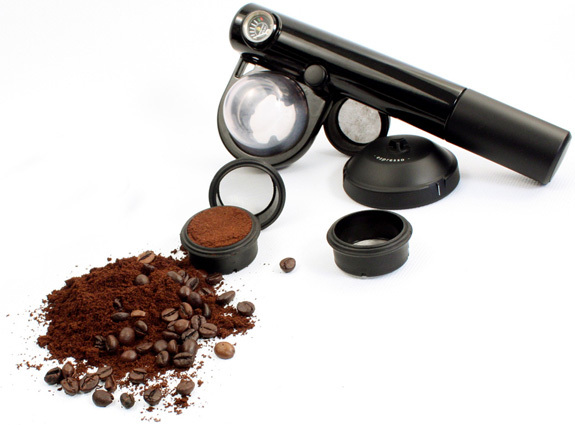 And it works with ESE (Easy Serving Espresso) pods (which are like tea bags filled with coffee) so there’s no need to bring grinder or bag of coffee beans along. Even stay-at-at-home types might prefer getting a Handpresso over a (probably more expensive) traditional counter top espresso maker. 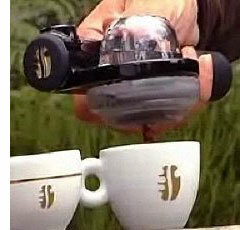 Not only does the Handpresso take up little space and make no noise but it is also exceptionally easy to clean. So you can spend less time fussing over your espresso and more time enjoying it—no matter where you are.